The Carbon Sense Coalition has produced a submission to the Australian Government Enquiry into “The Enhanced Renewable Energy Target Scheme”, April 2010. US Senator Diane Feinstein, March 2010. She was speaking on the Health Care Bill, but it could have been Penny Wong on her Ration-N-Tax Scheme. Going Green with Cap and Trade! The UN IPCC ’s global warming alarm is dead. Killed by the stampeding revelations of the UN IPCC fraud and falsities. Yet, there are two dead elephants in federal parliament—one each in the Senate and the House of Representatives. 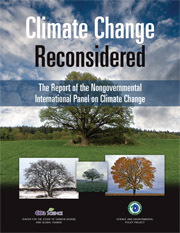 In each chamber, politicians are tiptoeing around the UN IPCC corpse. They’re pretending climate alarm is still alive—no one wants to be the first to break the news. Kevin Rudd’s mob, cowed in silence imposed by party control and paralysed by fear of voter backlash, pretend the rotting corpses are not there. They aim to suffocate Australia through an Emissions Trading Scheme imposing a huge tax payable by every consumer. Tony Abbott’s mob is paralysed by fear of sensational headlines labelling them anti-green. They too tiptoe warily around the putrid corpses. They think that to be seen as environmentally caring they need a plan for tackling global warming alarm. They’re trying to prove their plan is better. So they push a far less costly, far less risky and far less damaging alternative to suffocating Australia—they want to choke Australia through yet more unneeded regulation. The growing majority of Aussies watch and laugh. Woken to reality, they look on and shake their heads with derision and disbelief. While politicians tiptoe around dead elephants, Aussies have figured out what really matters—global warming alarm has been fabricated. Most Australians genuinely care for the environment. They’ve concluded climate alarm is a wasteful, costly derailment— a derailment that prevents addressing real environmental challenges. The Carbon Sense Coalition claimed today that those who vote for the Wong Ration-N-Tax Scheme are betraying every backbone industry in Australia, for no climate benefits whatsoever. The Chairman of Carbon Sense, Mr Viv Forbes, said that there is no evidence that carbon dioxide drives temperature changes on earth. “Even if the world did warm, there is no evidence that this would be harmful to life on earth. Ice ages cause mass extinctions; warm periods are always bountiful. “Moreover, higher temperature must produce higher evaporation from the oceans and thus more rainfall. If this is combined with more abundant carbon dioxide, the aerial plant food, earth would have another green revolution. “The war on carbon dioxide has been heavily promoted by European interests dependent on aging and costly nuclear power and unreliable Russian gas. Their goal is to hobble those competitors reliant on efficient and dependable coal power, chiefly the Anglo-American world and Australia’s major customers in China and India. “Many foolish local politicians have thus become foreign agents. “Any Ration-N-Tax Scheme will reduce Australian jobs in mining, farming, fishing, forestry, transport, travel, tourism and power generation, all of which are totally dependent on carbon fuels. It will benefit bankers, speculators, traders, lawyers, regulators and artificial industries dependent on subsidies. “It will export jobs and assist all competitors who have no ETS shackles. The government is currently ‘thieving’ from farmers to demonstrate its green credentials. Pretending they can control natural, cyclical, global warming. To protect farmers from the government’s insanity, misrepresentations and fraud, a man is dying. Property rights are fundamental to freedom. The key is not CO2. The key is the vital use of fuels containing carbon. That is a massive lucrative tax base. And controlling energy controls modern society. The government’s fraudulent desire for tax and control is exposed. The ETS will hurt everyone. Stifling regulations will hurt everyone. Who’s next? You are, we are. For what benefit? None. Regulating CO2 via theft of property without compensation is not protecting the environment, it is hurting the environment. It is undermining and discrediting science. It is an attack on the economy and an attack on freedom. Attacks on freedom, a tax on freedom, a tax on life. For a lie to take root and hurt us all, it only needs us as honest men and women to turn a blind eye. Rudd-Wong misrepresentation of carbon: No science, no integrity, no benefit, no need – no way. Send prayers for Peter and all farmers. Turn up the heat on politicians. The real issue for farmers is an issue for all of us – property rights are a cornerstone of freedom. “The farming sector will still pay more for inputs such as fertilizer,electricity,fuel and transport and because they have always been price takers you can guarantee ETS charges levied on food processors will end up being paid by the farmer. Senator John Williams, Senator for NSW, Nov 2009. Turnbull has already used trickery to frustrate the majority in the party room who wanted to at least delay the Ration-N-Tax Scheme. Now Kevin Rudd and Malcolm Turnbull have devised a another tricky plan to get the CPRS Bill through the Senate on Monday 30th November, the day before the Liberal party meeting he has called for Tuesday, where he is expected to be blasted out of office. The plan is to move the guillotine in the Senate on Monday where the ALP’s 32 senators will be supported by Turnbullite Liberal senators in sufficient numbers to pass the guillotine. Once that has been done the CPRS Bill will be immediately put to the vote, and the same coalition of ALP and Turnbullite senators will pass the Bill. This is indeed a cunning plan and demonstrates the length of trickery to which Kevin Rudd and Malcolm Turnbull are prepared to go together to impose this monstrous regime of command and control on Australia. There is a colossal scandal erupting in the blogosphere, and in the better media. Someone, probably an insider offended by what he saw was going on, leaked a large volume of emails from within the global warming priesthood centred within the Climate Research Unit at the University of East Anglia, UK. These show a pattern of manipulation, suppression and selection of data and evidence all designed to create and maintain the global warming myth. So now we know – Global Warming is man-made after all – it is created by men using manufactured data, dodgy computer models and “mates reviewed” papers by a small group of dedicated believers posing as scientists. “The newest game by the banks is carbon emissions trading. The plan is to manufacture emission credit certificates out of thin air, trade them between big financial companies, and compel the rest of us pay for them by producing real goods and services. The new financial slavery.